Manila North Harbor’s sunset view. The flow of local products in the market are primarily done through water, air, and land transport-amongst the three, water transport are the most utilized. Considering the archipelagic setting of the country, domestic shipping industry are the most important structural support for the nation’s economy. Shipping industry provides the means for inter-island transport, be that of transporting goods from one port to another, or transporting people to various islands far beyond the reach of air travel. Sea transport are viewed by many ordinary Filipinos as cost efficient as compared to air and land vehicles. Port of Manila facilitates the flow of people and products in between the center of industries in the country, and various strategic ports in the southern region thru its modern port facilities. Finish product made by various manufacturing companies in the National Capital Region, and imported products coming from different parts of the world comes and goes here everyday-with projected annual container traffic of about three million TEU’s. Moreover, sea-going public uses the port’s newest passenger terminal facility to get to their destination in the province south from here. 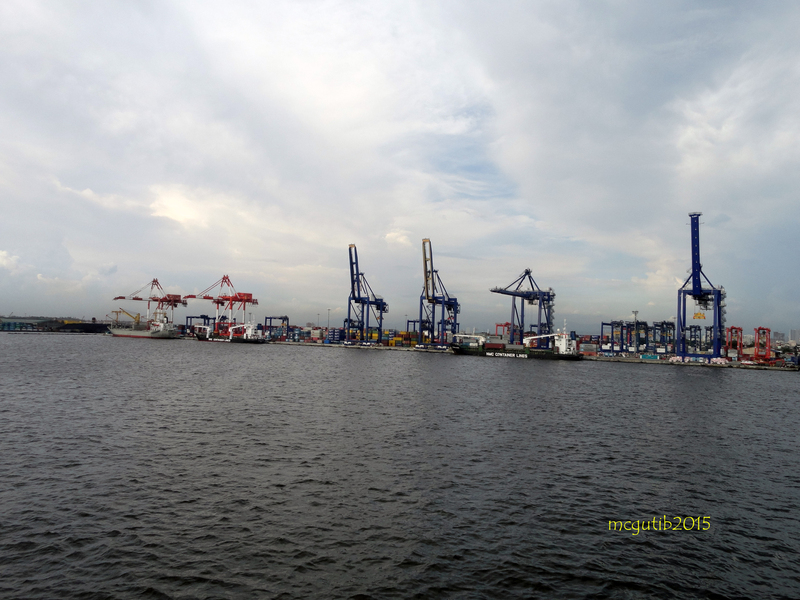 Port of Manila also served as major entry for people, and Agri-marine products coming from Visayas and Mindanao region. North Harbor-being smaller than that of the South Harbor in terms of annual cargo/container traffic, has a total quay length of around 52 hundred meters, and a total of 41 berths along its various Piers, and Slips. These Port connects every major, and minor ports/wharves located in Luzon, Visayas, and Mindanao region. Accessible via the Radial road (R-10) from Navotas City, and Roxas Boulevard via Delpan (Roxas) Bridge. 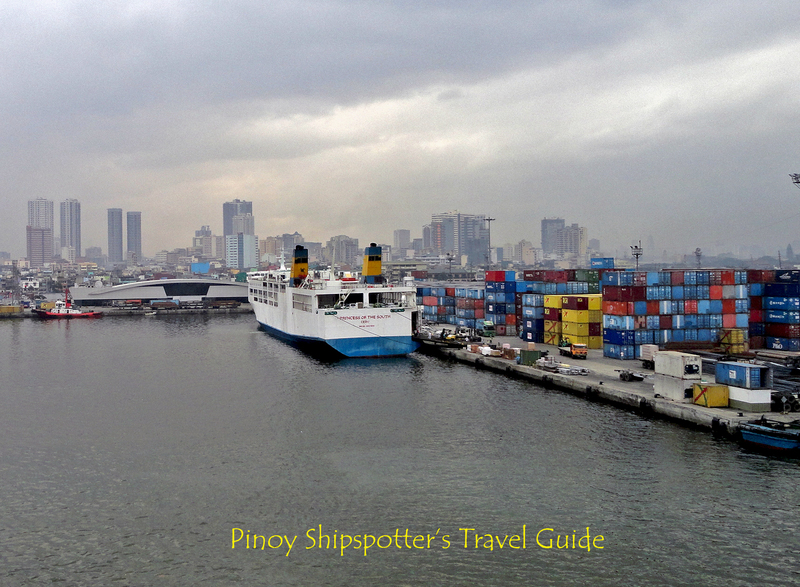 Manila North Harbor’s facilities are created with the sole purpose of serving the growing domestic passenger, and cargo shipping activities within the country. It form part of Manila Port’s backbone, which includes Manila South Harbor, Manila International Container Terminal , Harbor Centre Port Terminal, and the Port facilities located along the banks of Pasig River extending to Jones bridge in Binondo Manila. The Operation and Administration of the Manila North Harbor were transferred to the Philippine Ports Authority from the Bureau of Customs on December 23, 1975 by virtue of Presidential Decree No. 857, signed by then former President Ferdinand Marcos. Vitas Port in Tondo on the other hand, were declared part of the North Harbor Custom Zone by virtue of Executive Order nos.297 dated March 4, 1971. Cargo vessel bound for Basco Batanes as seen here at Vitas Port. On November 26, 1981 the whole of Vitas area bounded by Pier 18 in the north, Radial road 10 in the east, the Marine Slipway area in the south, and Vitas rock bulkhead in the west have been transferred and placed under the administration of the Philippine Ports Authority by virtue of Executive Order nos. 749, also signed by President Marcos. Pier 2, 4, 6, and 8, both of which had 80.43 meters wide x 220.25 meters long pier platform. To render the docks safe for ships while at berth or during anchorage, a 1300 meters long x 3 meters wide North Harbor breakwater have been constructed, and a 179.71 meters wide dock or slipway in between these piers. On the other hand, the completion of three other piers namely Piers 10, 12, and 14 were interrupted by the war. During the escalation of war, these harbor installation were subjected to extensive bombings, and air-raids by Japanese Invasion Forces and later by US Liberation Forces. Although compared to the nearby South Harbor, the piers along North Harbor suffered less damages due to perhaps less penetration or concentration of bombs and other explosive ordinance directed to this area. North Harbor and the rest of Manila Port were not usable for shipping until April 1945, due to harbor obstructions and port facility damages. Immediately after the liberation of Manila, US Corps of Engineers known as “MANED” under the consultation with the Philippine Port Commission undertook repairs to the existing piers. Damaged portions of the piers were replaced with timber deck on timber piles, some piers were lengthened by providing additional berthing spaces at both end. Obstruction to navigation along the channel leading to this piers where removed while dredging of the channels are conducted by the elements of US Army, and the Navy. On September of 1947, US Army then turned over the North Harbor facilities to the Philippine Government. The Division of Ports and Harbors of the Bureau of Public Works took charge of the construction, repair, and maintenance of this pier. The Port Management Office-North Harbor (PMO – NH) were created on July 1988, as one of the port management offices under the administrative and operational jurisdiction of the Port District Office of Manila. PDO Manila as it was known, on the other hand, is one of the five (5) major port district offices under the Philippine Ports Authority, a government–owned corporation created under Presidential Decree No. 505 dated 11th of July 1974, as amended by Presidential Decree No. 857 and further amended by Executive Order Nos. 513, 546 and 159. Piers 2 (Negros Navigation) and Isla Puting Bato. Pier 4 (Gothong Southern, and North Harbor Tugs Corp.). Pier 6 (MORETA Shipping Lines, Romblon Shipping Lines). M/V 7107 Island Cruise at Pier 6. Pier 8 (Solid Shipping Lines). Pier 10 (Lorenzo Shipping Lines and Gothong Lines). Pier 12 PSACC (former Sulpicio Lines). Pier 14 (Oceanic Lines, Loadstar Shipping Lines). Pier 16 (Escano Shipping Lines). PPA Board Resolution Nos. 1976 issued on November 13, 2003 allows Harbour Port (formerly R-II Builders, Inc.) to operate only as foreign non-containerized cargoes, and non-containerized vessels. In addition to that, it also granted to operate as a commercial private port and accommodate all types of domestic vessels and cargoes. 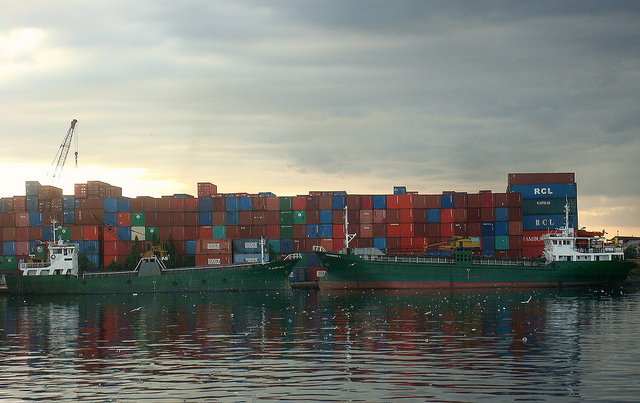 Prior to the entry of Harbour Centre Port Terminal in 1996, PPA were the only operator of the Ports of Manila. Interport Stevedoring and Arrastre Services, formerly servicing Isla Puting Bato (IPB). The government’s National Port Plan were conceptualized during early years of North Harbor’s existence were it said it will developed its capability to handle large domestic vessels, construction of sufficient back-up/storage facilities to accomodate large volume of container vans, and other cargoes. 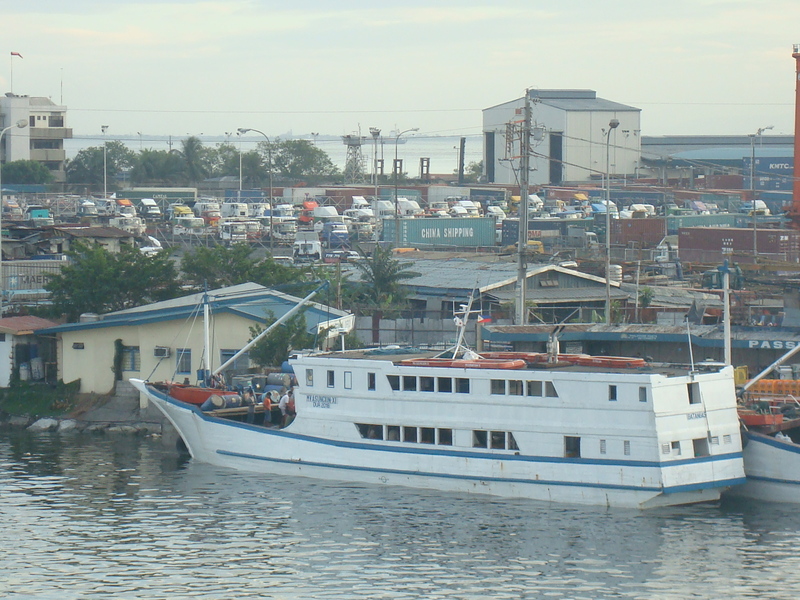 Passenger terminals and container facilities along Pier 2 (Negros Navigation), Pier 4 (Aboitiz), Pier 6 and 8 (Gothong, Sweet Lines, and Moreta Shipping Lines), Pier 12 (Sulpicio Lines), and Pier 14 (William Lines) were then constructed and/or improved to meet the needs of port users and sea-going customers. In 1999, as a result of the increased cargo and vessel traffic, PMO North Harbor generated gross revenues of P468.3 million or P20 million more than the 1998 revenues. On June of 2006 marks the completion and official turn-over to Port District Office- Manila, of the Vessel Traffic Management System (VTMS). The said project aims to establish a system of identifying, tracking, monitoring of all marine vessel activities, and to promote safer, more efficient navigation. The VTMS Project began in May of 2004 immediately with the award of the contract to F.F. Cruz/Japan Radio Co. The completed facilities in three locations- the MICT, Manila North Harbor, and Corregidor Island. It consist of a six-story building with 42 meters structural steel tower, 18-meter cylindrical concrete structure with electronic and generator room, and a 35-meter cylindrical concrete structure with three-story building at the highest. Philippine Ports Authority awarded the P14.5-billion, 25-years modernization project (renewable for another 25 years) to the sole bidder Manila North Harbour Port, Inc. (MNHPI)- a joint venture between Harbour Centre Port Holdings Inc. (HCPHI) and a diversified conglomerate of San Miguel Corporation, on the 19th of November 2009. Took over commenced on the 12th of April 2010, or five months after the contract were signed between the parties involved. The development (Construction) of world class terminal facilities, including the provision of the state-of-the-art equipment, and guarantee the repair and maintenance of the said equipment and facilities without any cost to the government. To achieve the maximum level of port efficiency at the most reasonable and competitive price in the provision of port services to the port users and the general public. To allocate funds for the amortization of existing loans for North Harbor and attain/sustain reasonable return on the PPA investment in all facilities. Scenic view of Pier 4 before its improvement (Year: 2011). On June of 2012, a groundbreaking ceremony were held for the construction of the new Passenger Terminal Building (PTB)- it aimed to consolidate passenger operations within the confines of Pier 2 and 4. The said project would also replaced the old passenger terminal building found in Pier 4, which used to be the based of operation of former shipping giant the William Gothong, and Aboitiz Inc. (W G & A) during their merger in 1995. Upon completion, the sprawling North Port Passenger Terminal Complex is considered the country’s most modern facility of its kind, built solely by Manila North Harbour Port Inc. (MNHPI); it aimed to promote safety and security, convenience and efficiency, and most especially comforts for its passengers and other port users. Designed to conform International Standards, the said terminal complex (cost around P200 million to build) is located in a 12,000-square meters complex were a two-story fully air-conditioned main building that houses a 1,900 seating capacity expandable to 3,800 seating capacity. Passenger amenities also includes a prayer room; a play room; nursing and diaper-change rooms; a clinic, and food kiosk while awaiting for boarding calls. Security equipment in the form of x-ray baggage scanners matching the norms in the airline sector are among other features. Outside the building are ticketing area/concessions, spacious drop-offs, and parking area for motor vehicles. After a year of construction, it held an initial soft opening on May of 2013. Six months after, on November of the same year the said passenger terminal was inaugurated by officers of MNHPI, and government officials led by Department of Transportation Secretary Emilio Abaya. On related upgrading of the North Harbor facilities, MNHPI’s P7.8-billion investments on port infrastructure, equipment and information technology is ongoing. A 480 million pesos worth of cargo handling equipment have been recently delivered at the port- this were two units of container cranes to complement the port’s existing two units, whereas the 12 rubber-tired gantry cranes are set to arrive early next year. North Harbor’s 53-hectare facility can accommodate over 300 vessels a month or almost 4000 ships yearly, with zero queuing time as it offers a total of 46 berths and 660 meters of which is a continuous quay lane, served by container cranes with state of the art computerized operations including the latest Navis SPARCS-N4 or Synchronous Planning and Real Time Control System, a globally recognized terminal operating system developed by Navis Corporation of Oakland, California. MANILA NORTH HARBOUR PORT, INC. Port of Manila and other Philippine Ports, Yearbook 1949.